Virtual-Only Meetings are quickly being adopted by entrenched boards who fear both adverse publicity and any attempt by shareholders, especially retail shareholders, to hold them accountable. 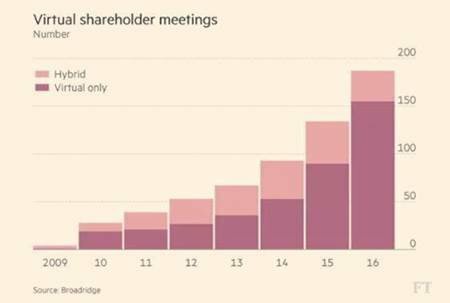 Broadridge Financial Solutions ($BR) has a direct financial incentive to push companies toward virtual-only meetings. Although many funds and organizations oppose such meetings, no one in the opposition has a such a direct financial incentive to oppose them. 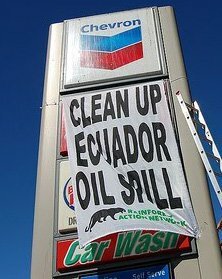 I write to protest Chevron’s subpoena seeking emails and communications from Trillium Asset Management and Simon Billenness to hundreds of organizations, investors and individuals active in challenging Chevron on its oil pollution crisis in Ecuador. Your action is without precedent. Never before have shareowners faced such a legal challenge for merely communicating with each other. This is a brazen attack on shareholder rights. I urge you to reconsider your position and withdraw your subpoena.